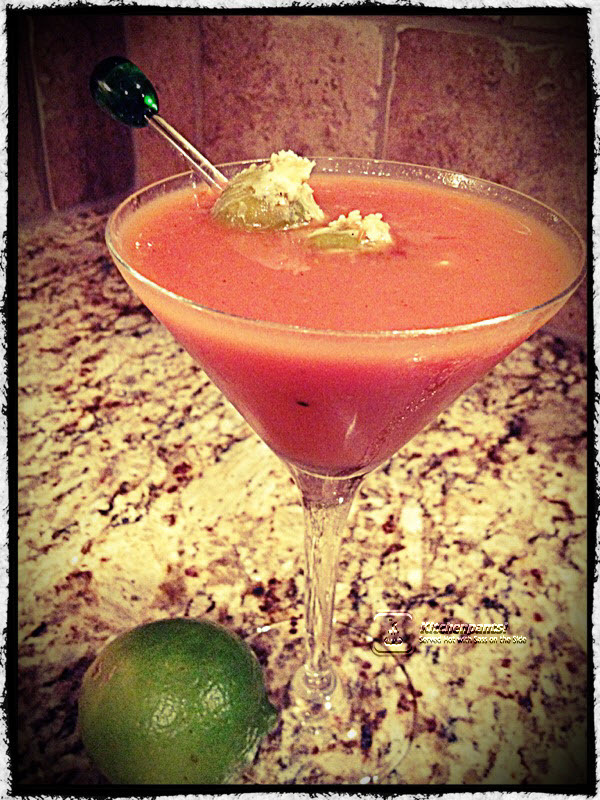 Bloodytini – Bloody Mary Martini | Kitchenpants! The Bloodytini is the evening version of the Bloody Mary. While the Bloody Mary is all done up in ice and garnishes and a tall glass, the Bloodytini leaves the ice in the shaker and is served in a low-cut glass. This drink is a savory cocktail – perfect to kick off a heartier meal. Fill the shaker 2/3 full with ice. Measure 2.5 oz of vodka and pour it over the ice in the shaker. 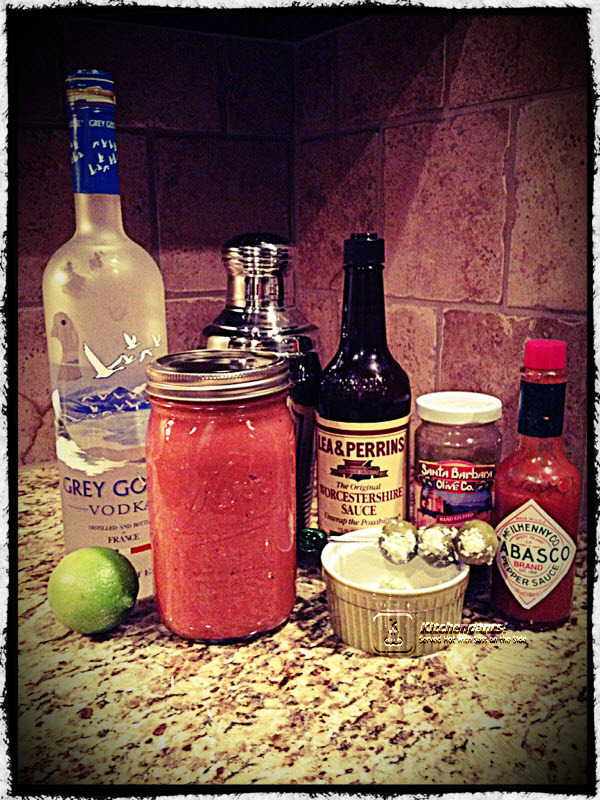 Measure 2.5 oz of bloody mary mixture and add it to the shaker. Shake Tabasco in to your spice preference. Pour a splash of olive juice into the shaker – a teaspoon full maybe and not much more. Cover the shaker and shake for 15-20 second to blend the ingredients. Add 3-4 drops of Worcestershire sauce over the top in the middle. This will sink to the bottom and look pretty darned cool. Add the olives or whatever garnish you like. If you want to stuff your own, you can do that or use whatever olives you prefer.